After 8 years as a top sales manager for one of the US’s top Fortune 100 companies Richard started his own successful multi-million-dollar business, in the process building up and selling numerous franchises. 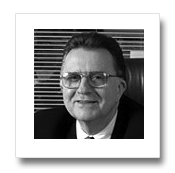 Specializing in the service sector, Richard offers years of industry experience and extensive knowledge of the Mergers & Acquisitions field to clients throughout the United States. Started career in outside sales providing music services and sound systems to businesses in the Chicago market area. Promoted to Sales Manager for the Chicago market area. Responsible for overseeing the office and over ten outside sales reps. Promoted to Regional Manager. Responsible for overseeing several sales offices and over thirty outside sales representatives. Started own business as a 3M franchise for 3M Sound Products – offering world class total communications support to major corporations and small businesses nationwide; includes full range of products and services, maximizing audio and video capabilities through leading-edge satellite communications technology; former 3M Sound Products Franchise. Served as President, overseeing full P&L, sales, marketing, advertising, customer service, operations, and national accounts. 1986 purchased a competitor in Chicagoland sound business. Under leadership, Sound of Music became the largest 3M Sound Products franchiser out of 85 dealers nationwide (1991), consistently achieving up to 120% of 3M’s sales quotas. Since 1988, company continued to achieve a 12% to 20% increase in annual gross revenue. Personally sold and serviced key accounts, including Sears (1,000 locations), and True Value (2,200). Built new affiliate franchise for Digital Music Express (DMX), a division of TCI Cable; achieved 250+ accounts within two years. Opened a Milwaukee office under the Muzak franchise, tripled the business in two years and sold the company back to Muzak. Started Sound of Music Company and built the company over 25 years with revenues over $5 Million and over $1.1 million in EBITDA. Sold the customer recurring revenue to Muzak for over 8x enterprise value.